He goes on to say, “The hotel uses 41% less energy and 33% less water (than a comparable, conventionally-built hotel) without one iota of compromise in comfort or luxury and with minimal additional construction costs.” The extra $7000 spent upfront on water conservation features has already saved two million gallons of water and $13,000 in water bills. One hundred rooftop solar panels supply most of the hotel’s hot water. 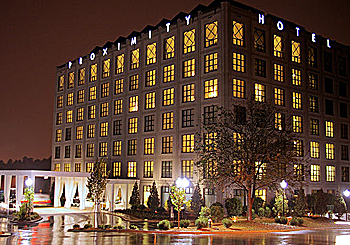 Visit the Proximity Hotel’s website for more information.